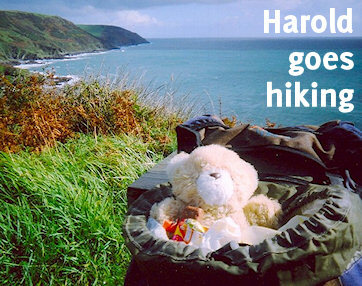 This was the year of the vicious river valleys – no walker quickly forgets the path near Hartland Point – but a long sandy stretch around Bude helps you recover, and then you are into the magical scenery around Tintagel. A busy schedule the following year – combined with a certain nervousness at the fearsome write-up given to what was coming next – meant that we only walked one stage of the path. And things got no better the year after that, with Foot and mouth disease pretty much closing off the countryside. The one stage we managed was one more than we thought we’d do, and our thoughts were with a cattle farmer we’d stayed with earlier in the walk.